A career in automotive technology is both rewarding and lucrative! Highly-skilled technicians are in great demand and have employment opportunities in any community or location. The information contained in this website can help students in their search for a high paying and rewarding career, can help educators in their search for tools to improve their automotive technology programs, and help dealerships in their search for better trained entry-level technicians. This partnership between the Virginia Automobile Dealers Association, the Virginia Department of Education, ASE Education Foundation, and the National Automobile Dealers Association is a pioneering program which brings together educators, administrators and dealers in preparing today’s students for their future careers in automotive technology. 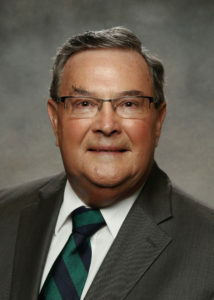 Since 2013, under the leadership of VADA ASE State Manager Bob Owen, the ASE program has grown from 6 manufacturer supporters to over 34 supporters. As of 2017, Virginia’s ASE program was ranked #3 in the entire United States. Since 2013 the Virginia ASE program has placed over 400 students into technical careers. None of this would be possible without support from the Virginia Department of Education, particularly George Wilcox, Acting Director for CTE Service, and Anthony Williams, Specialist Trade and Industrial Education and Related Clusters. 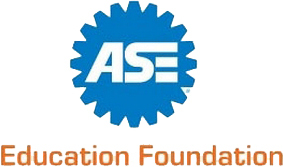 Virginia’s ASE Education Partnership excels because it provides students with internship opportunities during the summer between their Junior and Senior year. But to provide those opportunities we need Mentors! Contact Bob Owen today at bowen@vada.com or (804) 283.0176 to find out how you can start an great career in automotive technology or how you can make a real difference in a young person’s life by being a Mentor!